The cast of “Roald Dahl’s Charlie and the Chocolate Factory” performing alongside iconic character Willy Wonka. Neumann (Communication ’09) featured in several ensemble roles and occasionally called upon as an understudy, took the stage in the Chicago premiere on Oct. 2. The show will run at the Oriental Theatre until Oct. 21, a stone’s throw away from Neumann’s humble beginnings as a theatre major at NU. The Daily: Where did your Northwestern theatre career begin? Neumann: I didn’t know I would do musical theatre. I didn’t even know that was a profession. I was living in Bobb Hall at the time and this girl I knew was auditioning for a music theatre program. So I auditioned and I didn’t get in, and then I remember emailing the judges and saying, “Hey, what do I do to get in the program?” So I took a music theatre class. I originally had Henry (Godinez) as my teacher. He was great. He had such a gentle, calm energy and he trained in Kabuki theatre. He was very much about acting and meditation. That was a really nice, nourishing, gentle introduction to theatre training. The Daily: How did Northwestern’s program prepare you for life outside of college? Neumann: I did the music theatre and the theatre showcases and those were really valuable because the remainder of the year was spent working on the business of theatre — understanding the business was very valuable but difficult. It was a hard pill to swallow — hearing that people are going to typecast you, that you need to put yourself in a box and that you need to know how to sell yourself. You need to have an audition book and have songs in each category of music. You need to have your Hammerstein, your Sondheim. It was overwhelming, but that was probably the most valuable information I received that helps me in the professional world. The Daily: What about the show do you think will touch modern audiences? 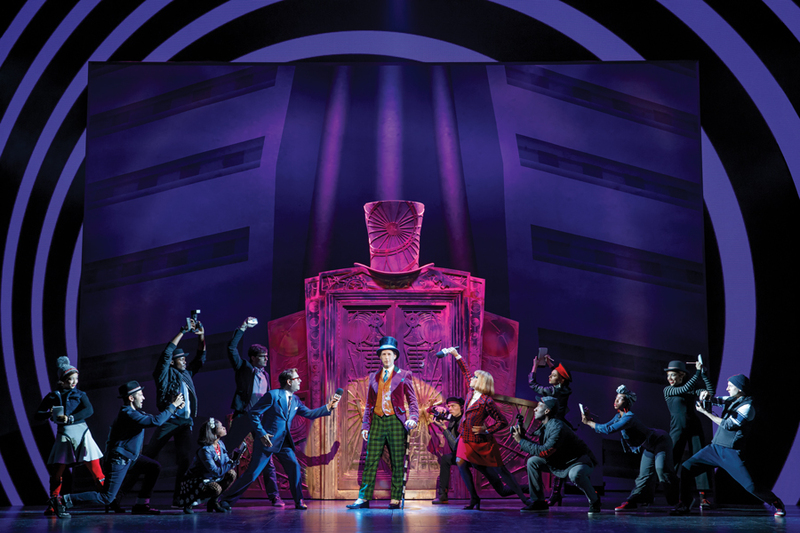 Neumann: It’s a reimagining of the Warner Bros. movie made in 1971, and so it takes the heart of that and the songs we love like “The Candy Man,” “I’ve Got a Golden Ticket,” “Pure Imagination” and fuses them with incredible music by Marc Shaiman. The heart of the original movie is still there — the power of imagination, of goodness and of pure-heartedness. Charlie is the most loving, humble angel of a child who has nothing, but he’s surrounded by love and has endless hope. You see that in contrast to these other kids who are either focused on their egos or materialism. In the end, goodness, kindness and love are what win. I think that’s a powerful message for our world right now. The Daily: Do you have any advice for aspiring Northwestern actors? Neumann: Follow your heart at all times and connect to the meaning of the art form. Make sure you know how to connect to that because this ego-driven business can get a little hard on the heart and soul. So find ways of nourishing your heart and nourishing yourself and connecting to what your purpose is in this art form.